I woke up. I woke up! Why? Why do dreams like this always get cut short??? I felt cheated & irritated when I got up. Later that day, I headed to Superdrug and got some Candy to get over the anticlimactic dream. Sleek i-Divine Candy Eyeshadow Palette ~ All bright and sweet shades with cute names: Strawberry Sherbet, Bon Bon, Parma Violet, Apple Sour, Pear Drop, Flump, Liquorice, Blue Fizzle, Aniseed, Bubble Gum, Mint Cream, Cream Soda. Price ~ £7.99 | Rs.730. Price ~ £9.99 | Rs.911. 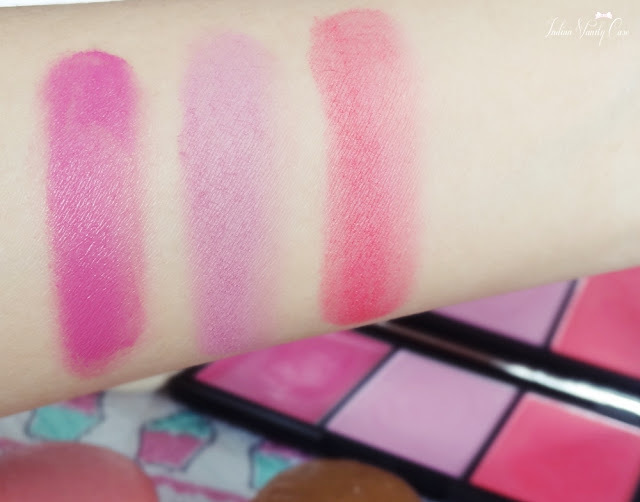 A fuchsia pink Pout Paint named LOL-Lip-Pop is also part of this collection, but I did not get it. Available online at SleekMakeup.com. Sleek ships worldwide. I have ordered from India before. Yummm....the macaroons and the blushes have got me drooling. 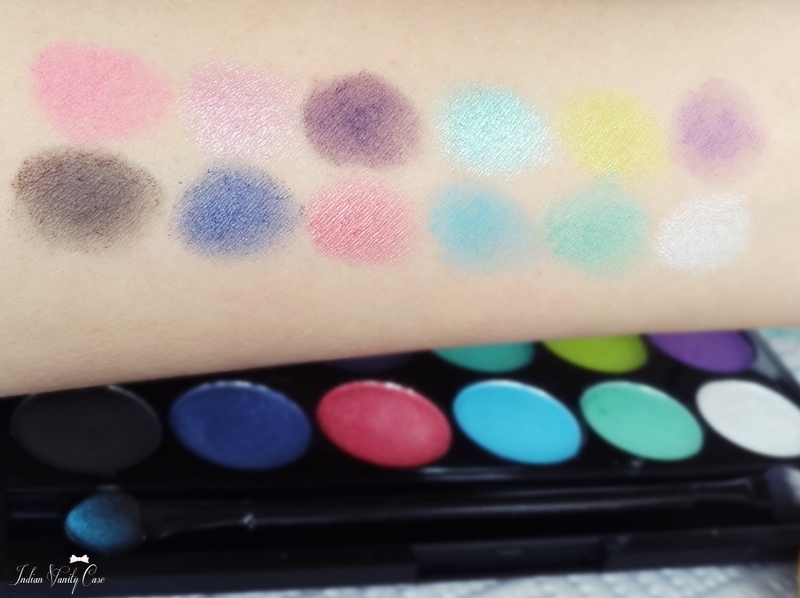 The eyeshadowa are really pretty too but I really dont think I can carry of candy colours on my eyes. Candylicious..I loved the blush by 3..
Hey jus <3 ur blog! ur pics r sooo amazing!..can u temme which camera u use? Oh, what have you done, Cynthia! What have you done! Now I'm craving something sweet so badly! I would love to see how you plan to use the eye palette - the colours are so beautiful but I am baffled at how to make them into a gorgeous eye look!